Maine native Aaron Peet studied winemaking at Walla Walla Community College, then returned to his home state to open Cellardoor Winery. IT CAN NOW be said that Washington wine country stretches from sea to shining sea. Aaron Peet, the winemaker for Cellardoor Winery in Lewiston, Maine, brings several tons of grapes from Washington’s Columbia Valley, supplementing grapes he gets from estate vineyards on the east coast of Maine near the town of Lincolnville, about halfway between Portland and Bar Harbor. Aaron and his wife, CC, started getting into wine — not an easy task in Maine, which has 12 wineries — after earning liberal arts degrees at the University of Maine (he in creative writing, she in history). 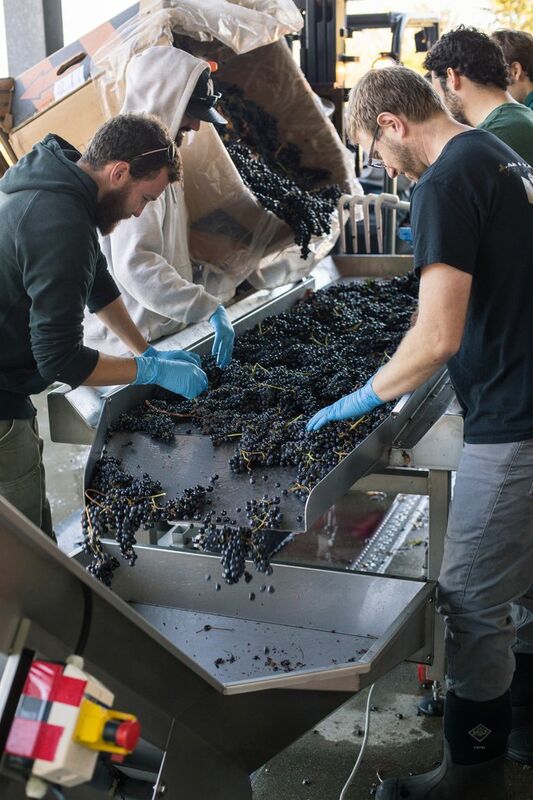 Looking at their options, they decided to pack up and move to Washington to attend Walla Walla Community College, where Aaron earned a winemaking degree. 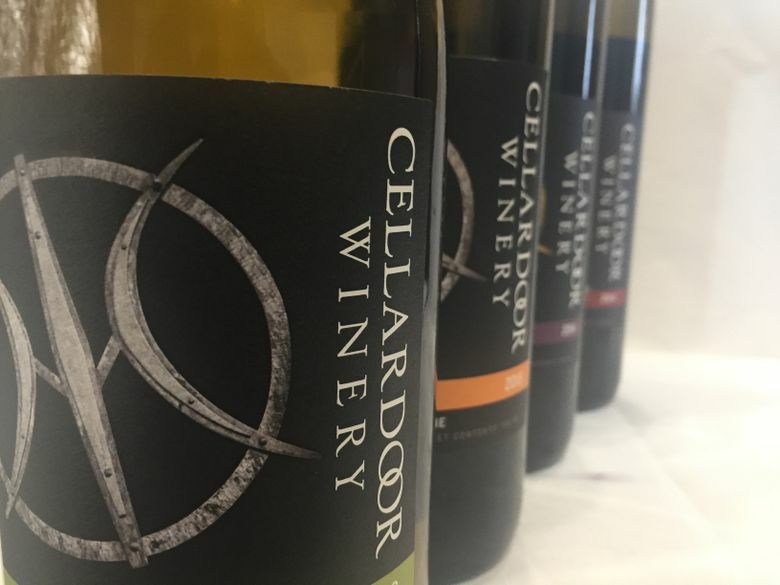 Cellardoor has no distribution in Washington, but wines can be ordered through the winery website and shipped to Washington. They are designated “American” wines because they were made outside the state where the grapes were grown. Cellardoor Winery 2014 Petit Verdot, American, $24: Using grapes from the Yakima Valley, this boldly flavored red opens with intense aromas of ripe plum and black pepper, followed by flavors of black cherry and dark chocolate. Cellardoor Winery 2014 Albariño, American, $18: With grapes from the Horse Heaven Hills, this bright white unveils aromas and flavors of sweet herbs, apple, nectarine and peach, all backed by solid acidity. Perfect with lobster. Cellardoor Winery 2014 Pinot Gris, American, $17: Using grapes from the Columbia Basin, this delicious white offers aromas and flavors of kiwi, honeydew melon and crisp apple, with white floral notes on the finish. By 2007, they were back home in Maine, working at Cellardoor Winery. The winery opened in the late 1990s but had come under new ownership in 2007 and needed a winemaker. With his experience in Washington, Aaron decided to explore the possibility of bringing grapes across the country. He works with a grape broker in Washington to coordinate vineyards and shipping. The 3,100-mile journey begins when the grapes are picked in the Yakima Valley, on Wahluke Slope and at Horse Heaven Hills. After being picked, grapes are chilled for a day, then loaded onto a refrigerated truck for a three-day, cross-country drive. They arrive in surprisingly good shape, then are processed just as they would be if Cellardoor were a Washington winery. The Peets can get up to 20 tons on one truck, so the most difficult chore is coordinating picking to get as many tons on a shipment as possible. In addition to buying grapes from Washington, Cellardoor has 5 acres of estate vineyards that were all but dead when Peet arrived. Now rehabilitated, the vineyards are planted with varieties such as Frontenac, Frontenac Gris and Marquette, and are up to nearly full production. Peet uses these estate grapes, all cool-climate varieties that do well in New England, to make a couple of sparkling wines. The Maine vines provide enough tonnage for 1,000 cases of wine, supplementing Cellardoor’s 10,000 cases based on Washington fruit. Despite the unusual grape sourcing, Cellardoor Winery consistently earns top medals in West Coast wine competitions.